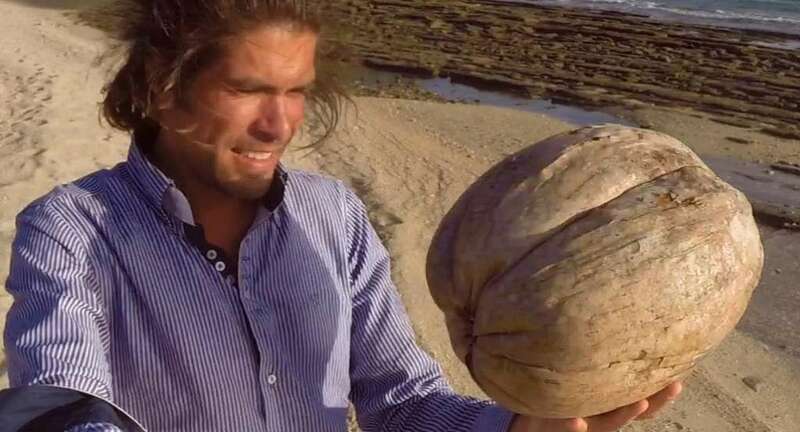 The biggest coconut in the world? 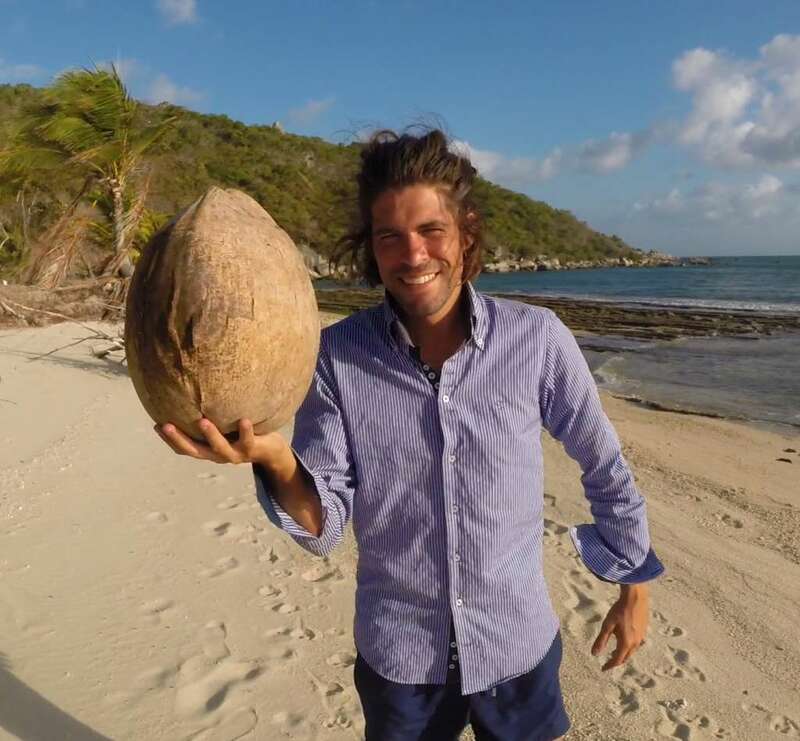 While visiting Restoration desert island (Australia), I came across the largest coconut that I have ever seen in my life, and believe me I’ve seen a few coconuts! I reckon that should one of our voluntary castaways get a hold of one like it they would be speechless! This giant coconut has been well looked after by Dave Glasheen, the voluntary castaway who lives on this island and has indeed been living there for more than 20 years, albeit illegally! As I have already explained in this article, the Australian Justice Department was aware of the existence of this castaway years ago, and now they want to evict him. Dave lost all his fortune in the stock market crack in 1987. That was when he decided to leave civilisation behind and to start a new life on the desert island he has made his home. Up to last year he lived with his dog, Quasimodo (Quassi). He was killed by a taipan snake. The coconut in question was already dry so it didn’t weigh too much. I’m sure it didn’t fall from a Palm tree on the island but arrived floating in the sea, probably from a Coconut Palm on a nearby coast. By the way, in the same area I came upon a marine crocodile. You can see the video of this meeting here. Have you ever seen a coconut? Including one bigger than this one? If you have any photos, great! I would love to know if you have the biggest coconut in the world. Thank you! This is really a really cool find. I believe it may be the lodoicea Maldivian, The Sea Coconut. It’s a rare find and interesting plant. Your website and business is fascinating! Do you think you could use the shell from this to put ice in and cool a mini-keg? Previous post: How is the desert island of the Australian Robinson?